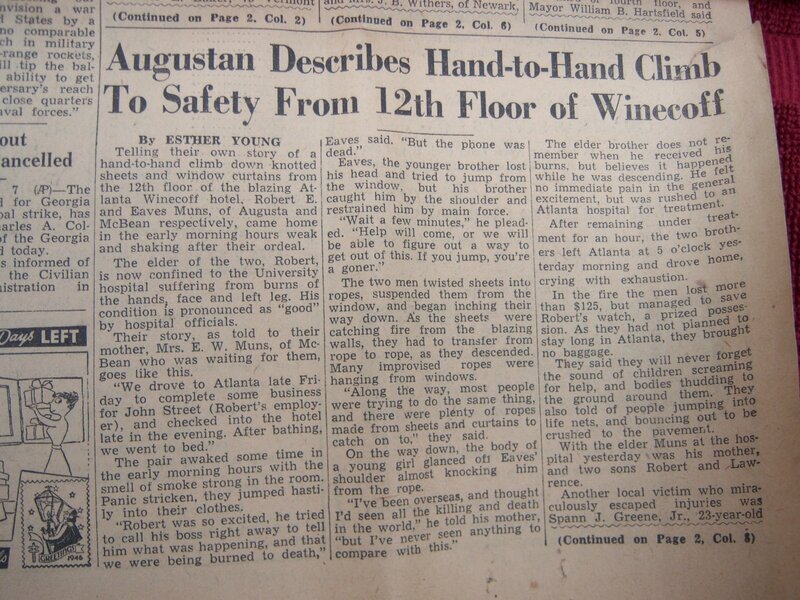 Winecoff Fire reader Donna Howard Parker has discovered this vintage issue of The Augusta Chronicle. 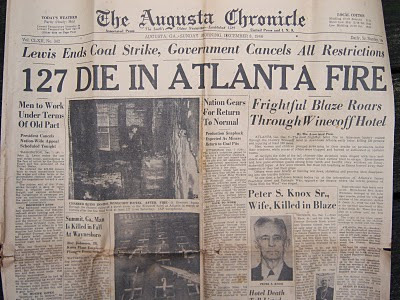 It is dated Sunday December 8th, 1946. Donna reports it was found among the effects of the late Lilly Howard of Augusta, Ga. Lilly saved the issue throughout her life because she was so touched by the tragedy it describes. 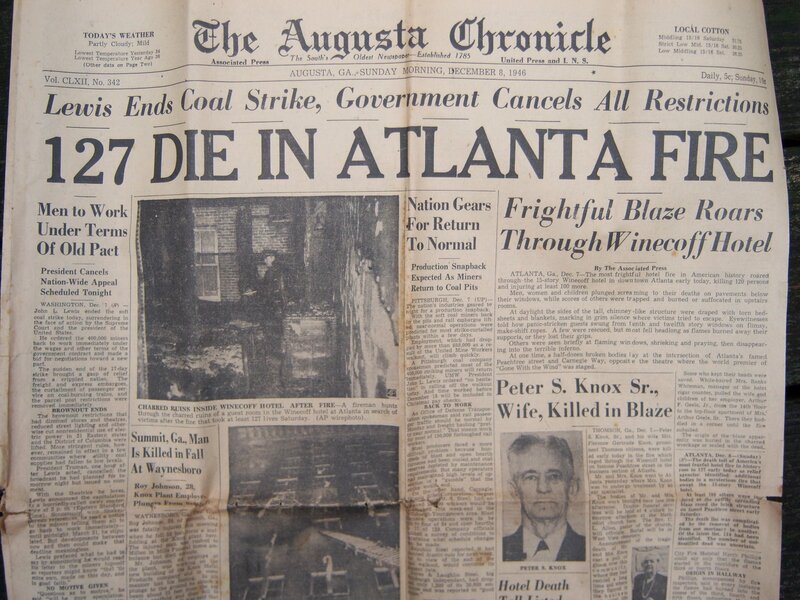 The earliest news reports inaccurately inflated the number of fatalities. The correct count was 119. One U.P.I. story reported 123. This issue reports 127. It also includes a vivid account of the Muns brothers' miraculous escape from room 1206 via sheetropes.